Based on last year’s successful introduction of short, information-packed talks, AHEAD will again be offering all participants a half-day series of “snapshot” presentations on Saturday morning. A chance to learn from other presenters, these 20-minute featured talks will focus on topics of global interest and offer ready take-aways. We hope you’ll plan to stay Saturday morning to join all attendees in this final session. Instruction Schedule- 13-hours of direct instruction in selected content area, PLUS the 2-hour Snapshot Saturday presentations. AHEAD has applied for CRCC continuing education credit for all programs and offers a certificate of attendance for interested participants. Registration includes full breakfast on Thursday and Friday and morning and afternoon beverage breaks. Many of us are drawn to professional work in disability services because of our commitment to social justice and inclusion. However, we must enter this work with a reflective posture and appreciate that we too can be part of the problem: inadvertently contributing to dynamics that maintain the status quo. This two-day workshop will explore disability in the larger context of social justice dynamics, providing space for participants to reflect on their positionality to disability and connect it to professional practice in disability services. We will begin by exploring systemic and individual dynamics of power and privilege. By situating disability along other community and identity experiences, participants will have time and space to reflect on their personal power and privilege. We will relate to professional practice by exploring how their positions may impact building authentic relationships with disabled students and how they may represent disability to campus audiences. We will then move on to explore how these dynamics impact contemporary and professional concepts of disability. Borrowing from disability studies and disability history, we will look at how disability is currently framed in society, explore conscious and unconscious biases about disability, and consider how these ideas may shape our personal and professional ideas. After reflecting on the impact of bias on disability services and higher education, we will focus specifically on disability-related microaggressions, an emerging area of scholarship with important implications for our work. We will review the literature and work collectively to unpack examples of microaggressions and the role we play in either perpetuating or dismantling these experiences. Finally, we will discuss our roles as allies and advocates and ways to cultivate effective relationships that promote equity on campus. We will end with participants developing and discussing specific action items. Back by popular demand, this updated two-day AHEAD Institute will give DS, ADA, disability law practitioners, and compliance professionals a comprehensive introduction to postsecondary student disability law, including the requirements of the Americans Disabilities Act, Section 504 of the Rehabilitation Act of 1973, and the Fair Housing Act. There is simple no way to anticipate every question or scenario that will arise in implementing these laws. Consequently, our mission is to provide each participant with a series of comprehensive frameworks, “analytical paradigms,” and procedural tools for addressing the broad range of legal questions they are likely to encounter. The courts and the Office for Civil Rights often devote more scrutiny to the processes colleges and universities use to reach their decisions than to the decisions themselves. Accordingly, this course will also present the procedures most likely to receive agency approval and deference. We will begin by placing the responsibilities of disability services into its civil rights context with a review of the history of discrimination against individuals with disabilities and the emergence of the disability rights movement in America. Participants will learn what legal traditions and concepts all antidiscrimination laws share and what is unique to disability law – knowledge useful to convincing administrators and faculty of the importance of the DSS mission. Our next step will be to focus on the critical question of who is “a qualified individual with a disability” (QID), the issue underlying about 80% of all post-secondary student disability cases. This includes focusing on who is “an individual with a disability” under the ADA as amended and what the courts and DOJ tell us about documentation of disability. The class will proceed to the second element of the QID paradigm, whether a student with a disability can meet the essential academic and technical requirements of the institution, with or without reasonable accommodation, “academic adjustments and auxiliary aids.” This will include which accommodations are “necessary” and “reasonable” and which are not because they either entail a “fundamental alteration” or an “undue burden.” Particular attention will be paid to those accommodations that pertain to individuals with visual, print, and hearing disabilities. We will analyze recent court decisions and OCR letters, whose discernible theme is that colleges and universities should never deny an accommodation to qualified students with disabilities without first engaging in a case-by-case (“individualized) and “interactive” consideration process of the requested accommodation, even if implementing the accommodation would require making an exception or modification to a long-existing rule, practice, policy, or assumption. In each stage of the course, we will apply these foundational concepts to cutting-edge legal developments in some of the most challenging and complex issues that face DS offices. Throughout the Institute, opportunities to apply concepts will be provided through discussions of recent cases. This training will provide management guidance for new disability office practitioners or those with some experience but new to health sciences and will include a refresher in accommodation principles as they are applied to health sciences. This training is developed as part of an introductory and advanced series that can be taken individually or as part of the series. The introductory training builds a foundation and prepares participants for the case-based advanced course on health science accommodations that will be offered by AHEAD in May 2019 in Columbus, Ohio as part of its Next Chapter: Master Classes for Seasoned Professionals. Schools that offer health science programs, including Medical, Podiatry, Nursing, Dental, Pharmacy, Speech/Language, Physical or Occupational Therapy, Physician Assistant, Veterinary, or other programs, face unique challenges when creating reasonable accommodations for health science and professional students with disabilities. This introduction to disability accommodations in the health sciences will provide an overview of how to address complex accommodation requests in classroom, lab, and clinical environments. Common challenges include the lock-step nature of most programs, determining appropriate accommodations in patient care settings, meeting technical standards, and proactive planning to anticipate accommodation needs in clinical environments. The presenters will cover the basic tenets of practicing in this specialization, including the most relevant OCR decisions and court cases, and participants will have opportunities to work through basic scenarios. Each day will end with dedicated time for Q&A. skills for training faculty, including “myth busting” regarding students with disabilities in health science programs and addressing common concerns about patient safety, essential requirements, and technical standards, and advising faculty and administrators who may instinctively slip from the role of faculty into their roles as health care providers when working with students with disabilities. Participants will leave this training with tools to aid in decision-making, policy development, and leading faculty/staff development trainings. Online learning is growing in popularity on college campuses and is here to stay. According to the 2015 Survey of Online Learning conducted by the Babson Survey Research Group, more than one in four students now takes at least one course at a distance, and increasing numbers are enrolled in fully online programs, never needing to set foot on the physical campus. While the online format can reduce or even remove some barriers to access for students with disabilities, it can also introduce a variety of new challenges for students, DS staff, and faculty. From initial contact with the disability resource staff to arranging for and using accommodations to establishing relationships with faculty, the online environment demands new processes and skills. The Office of Civil Rights, through its involvement in complaints and legal cases, has made it clear that accessibility of online courses and educational technology is expected. How does the average disability service provider, especially those in one or two-person offices, modify process and institutionalize a campus commitment to accessibility that addresses both on-campus and distance programs? Determine the role technology plays in creating accessible learning opportunities. This interactive, collaborative workshop is designed for all disability services providers, especially those who are new to online learning and accommodating online courses. Attendees will leave with resources, strategies and tips that can be implemented upon return to their campuses. Students with disabilities are a named population under federal TRiO programs, yet many TRiO personnel do not have a background in the variety of conditions that can be considered “disabling,” an understanding of the types of barriers students with disabilities face, or an appreciation of ways in which TRiO services can contribute to students with disabilities' success. This institute offers an introductory look at supporting TRiO students with disabilities (including veterans with disabilities) at the secondary, postsecondary, and adult levels. Disability accommodations are largely the purview of disability resource offices. However, accommodations focus on providing access not on supporting long-term retention and eventual graduation. This makes TRiO programs an essential, additional resource for many students with disabilities, offering them a comprehensive range of strategies and services focused on success. The expansive range of students eligible for TRiO under the category of “disability” will be explored, from students with learning and attention-related disabilities, mobility impairments, and hearing loss to students with psychological disabilities, autism, and chronic health conditions. Likewise, we will discuss TRiO interventions that have been proven effective in improving success for students with disabilities. During this intensive and highly interactive two-day Institute, participants will be introduced to the challenges disabled students commonly face and guided in applying this information to the development of academic, social, and career skills. Services, tools, and strategies that reflect best practice in supporting students with disabilities will be shared, demonstrated, and used during the Institute. Attendees will leave with the knowledge and resources necessary to begin implementing appropriate, improved, and comprehensive TRiO services to students with disabilities who are eligible for services under their programs. Time for networking, sharing innovative strategies, and brainstorming solutions to individualized situations is a crucial part of the institute. 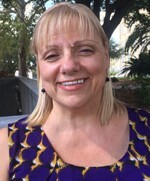 Kelly Hermann, Vice President of Accessibility and Disability Strategy at the University of Phoenix, and an expert in accessibility in distance education. Kelly is a long-term member of AHEAD and regular, well-respected presenter. She has been the Chair of AHEAD’s Standing Committee on Policy and is currently the Chair of the Online and Distance Learning Special Interest Group. Dawn Hunziker, M.A. 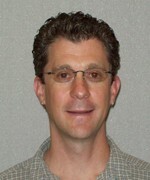 is the IT Accessibility Consultant for the University of Arizona’s Disability Resources. She co-coordinates the UA's IT Accessibility Program to support the UA’s commitment to full accessibility of electronic and information technology employed on campus (itaccessibility.arizona.edu). Her job duties include working with campus units and committees, program managers, content developers, faculty and staff to provide input and proactive solutions regarding accessibility in the UA IT and academic environments. Dawn also coordinates Assistive Technology availability on campus, supports alternate format production (documents and media), and collaborates on faculty development, accessible course, and Web design initiatives. She currently serves as Vice President of the ATHEN Executive Committee. 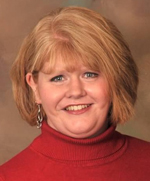 Dawn has presented at local, state, and national conferences regarding the UA IT Accessibility Program, PDF/web accessibility, captioning processes, and inclusive curriculum design. 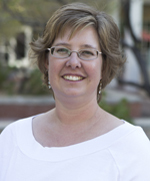 Amanda Kraus, Ph.D. is Assistant Vice President for Campus Life at the University of Arizona. In this role, she serves Executive Director of the Disability Resource Center and Housing & Residential Life. The University of Arizona’s Disability Resource Centers is one of the largest in the nation and an international model of progressive service delivery. 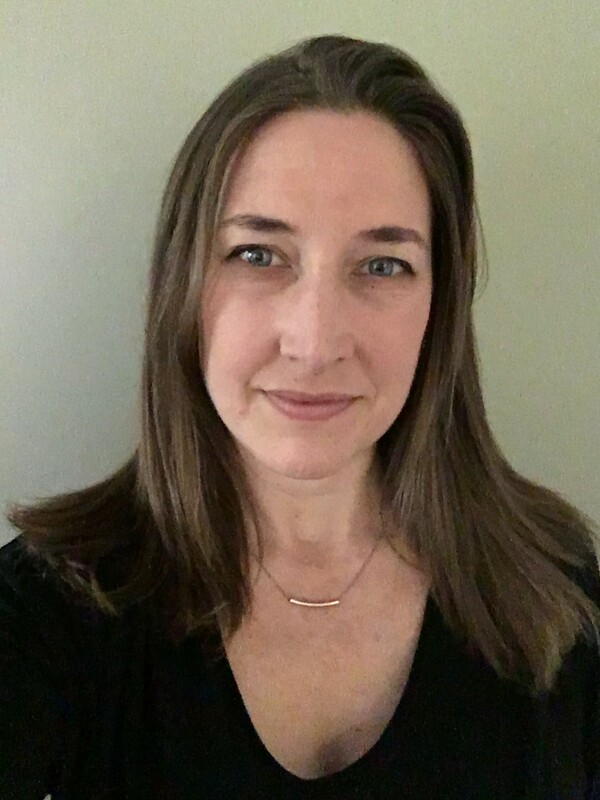 Amanda is also Assistant Professor of Practice in the Center for the Study of Higher Education, where she coordinates the master’s program and instructs courses on student services and disability in higher education. 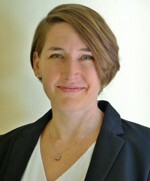 Amanda serves on AHEAD’s Board of Directors for and is currently President-Elect. She has had the privilege to work with institutions such as Singapore Management University, Duke University, Purdue University, and Wake Forest University and in 2016 participated in a delegation convened by the U.S. State Department to engage in dialogue on disability access in education and employment in Beijing, China. Outside of work, Amanda is an avid wheelchair tennis player and serves on the Board of Director for the United States Tennis Association – Southwest Section. She was recently recognized as one of Tucson’s Top 40 Under 40. Amanda received her M.A. and Ph. D. from UA in Higher Education. Jon McGough, M.Ed. manages the Disability Access Center at Western Washington University in Bellingham, Washington. 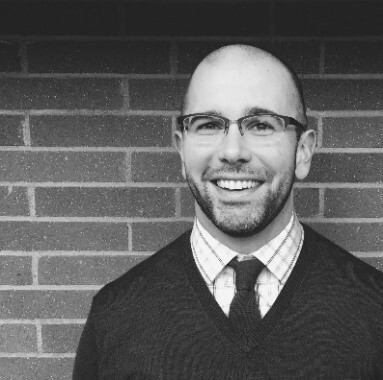 He was previously the Associate Director of the Disability Resources for Students office at the University of Washington - Seattle, working with students in the Schools of Medicine, Nursing and Pharmacy. Jon served on the Board of the Coalition for Disability Access in Health Science and Medical Education and is Past-President of the Washington Association on Postsecondary Education and Disability. He has over 10 years’ experience in higher education, determining accommodations and providing consultation on ADA compliance matters of digital and physical access. Jon’s adventures in disability services began on a construction crew specializing in custom home modifications for people with disabilities and evolved into a career of disability rights work. is currently the Director of a TRiO-Student Support Services program and Adjunct Faculty member at St. Mary’s University in San Antonio, Texas. 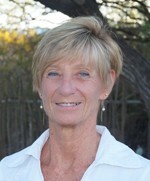 She is a former Director of Disability Services and former Lead Trainer for a TRiO Training grant. 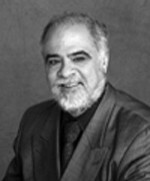 Dr. Rapp has been in the field of disability services for over 30 years and has provided a variety of services for students with disabilities including psychoeducational assessments, accommodation prescription and implementation, academic advising, career counseling, transition services, and individual and group counseling. She has also created and presented training focused on working with students with disabilities for faculty (kindergarten through postsecondary) and support personnel. 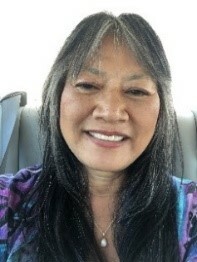 Besides working full time at St. Mary’s University, she is also the disability consultant for the Kamehameha School System in Hawaii and a Technical Advisor for the Association on Higher Education and Disability (AHEAD). Currently both the AHEAD room block and the hotel in general are sold out. All events and housing for the 2019 AHEAD Management Institutes will be at the El Conquistador Tucson – A Hilton Resort. When you think of the Southwest, windswept mountains, wildflowers, fiery-red sunsets and a deep-rooted desert culture spring to mind and nowhere is this soul-stirring tableau captured more spectacularly than at the El Conquistador Tucson. Named “Best Experiential Hotel” by Hotel Interactive Lodging Industry Elite Awards, El Conquistador Tucson invites you to escape and experience the colors, textures, and singular details of their uniquely southwest resort. AHEAD has secured a discounted block of sleeping rooms for the Management Institutes at a group rate of $189.00 + tax per night for single or double occupancy. DAILY RESORT FEE IS WAIVED FOR AHEAD ATTENDEES. Reservations must be made no later than Wednesday, January 9th, 2019. You are welcome to make reservations by visiting: https://secure.hilton.com/en/hi/res/choose_dates.jhtml?hotel=TUSHTHH&spec_plan=WMI or by calling 1-888-370-0980 and asking for group code WMI. Registration includes all materials, full breakfast on Thursday and Friday, and beverage morning and afternoon breaks each day of the Institutes. Travel expenses, hotel accommodations, and additional meals are not included in the registration fee. Refunds can only be provided for cancellations received in writing on or before December 20, 2018. A $75.00 administrative fee will be charged for all cancellations. We regret that no refunds can be issued after December 20, 2018 for any reason but can be transferred to another attendee from the same institution.